I have shared this post for free for charity. I have not been paid for this post. Each year I choose a couple of charities to support for free on the blog. The Alder Hey Children’s Charity Ambassadors are children from all walks of life, who have been treated at Alder Hey or are a relative of a patient who has undergone treatment at our children’s hospital. We all know that childhood should be filled with smiles, fun and laughter but children often have to be brave and grow up quickly when they become ill. The charity wants to help to support all of the children who come through their doors. Just ask Daniel Bell, and his mum Rosalind; one of the ambassadors. 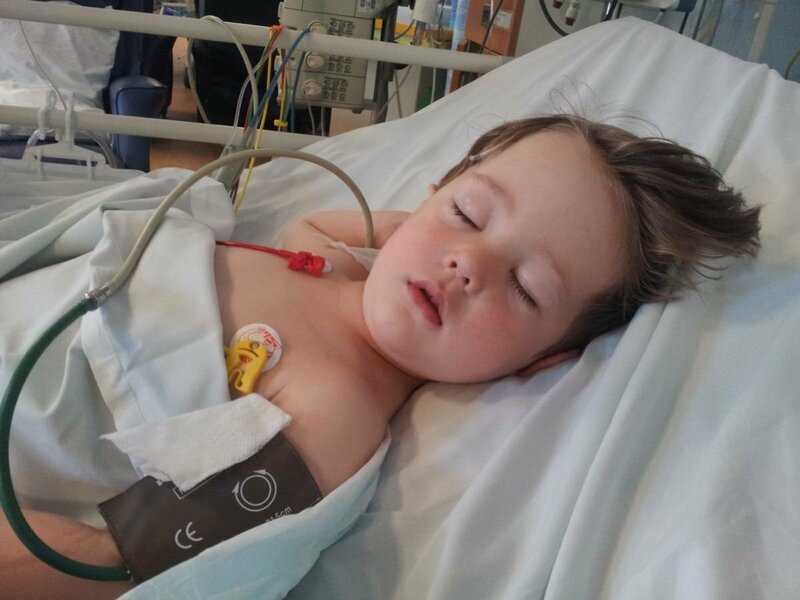 When three year old Daniel was diagnosed with a brain tumour, he was rushed to Alder Hey, a centre for excellence on brain conditions. His tumour was the size of an adult fist and there was a possibility that the surgery which would save his life could also rob him of key motor and mobility skills. 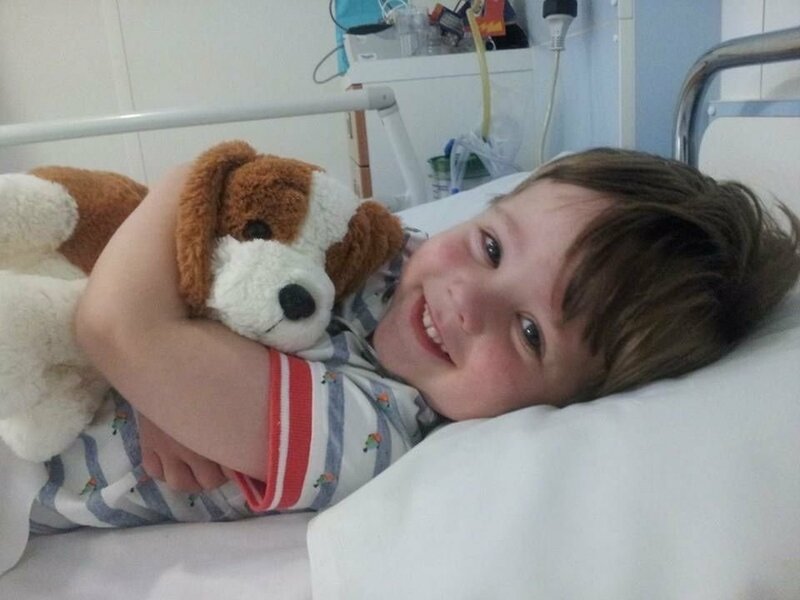 Thankfully, his surgeries were aided by Alder Hey’s state of the art 3-T MRI scanner. The device, paid for by the charity, allows surgeons to scan the brain during surgery and assess the success of the operation in the operating theatre and not many months after recovery. This equipment was featured recently in an episode of Hospital on BBC2, again in a lifesaving situation. He is now a healthy, happy and active six year old boy. He is a budding actor, recently seen in a production of Little Shop of Horrors with his local Performing Arts Club. He also raises money for Alder Hey, named a Young Ambassador for the charity. So far, he and his family have raised more than £22,000 for the charity – accomplished by collecting people’s Christmas trees which is just one of the fun ways Alder Hey’s young and old fundraisers raise money. They’ve also done bake sales, park runs and charity car washes too! All the ambassadors help to raise money for the charity which helps them continue to provide vital funds to provide life saving medical equipment and facilities which make a real difference to families every day. The charity has also recently installed distraction technology within the wards. This helps to distract attention away from the treatment or examinations that need to be carried out by professionals. Young patients are entertained with colourful, bright and positive images projected on the walls of the room. This helps to transform a white ward into a magical world where children can escape from their fear. Alder Hey relies on the support and kindness from the public to continue to provide innovative solutions and vital funds. There are plenty of ways to do this. Alder Hey Children’s Charity has recently launched a brand-new running hub to inspire and motivate people to run for charity. With delicious recipe ideas, running tips and plenty of running training plans (5k, 10K, half marathon and marathon training). if you’d like to challenge yourself to run a 5K, 10K or even a marathon we would love to you go and check out the Alder Hey Running Hub now. As we begin to enter the colder months of the year, it won’t be long before it’s time to say goodbye to 2018 and welcome the New Year with open arms. However, while we may be looking forward to a positive start and a happy, healthy and successful New Year, the reality is that many people across the world will simply not have the same ability to shape 2019. Every year, we are bombarded with facts, statistics and TV appeals about how you should donate to this charity or that campaign, but the reality is that sometimes, the smallest steps can end up making the world of difference. Whether it is offering a smile to someone on the street or dropping a handful of small change into a donation box at the supermarket checkout, these simple acts really do add up. Before you know it, you will end up creating a ripple effect of positivity and generosity which will reach many more people. Of course, there will always be things you wish you could change about your life or your current situation, but sometimes it’s important to take a step back and focus on the good things in your life. It can be incredibly easy to forget just how lucky you are, so think about all the things you do have rather than what you don’t have. Even such simple things as food, clean water and a roof over your head are things you shouldn’t take for granted, as many people across the world don’t even have these basic necessities of life. If you feel able, you could donate to an appeal to help those in need in Syria and other countries torn apart by conflict or natural disasters. While you are snuggled up nice and warm inside this winter, spare a thought for those who aren’t so lucky. The homeless are at particular risk of succumbing to the risks associated with adverse weather at this time of year, particularly if they are not able to find a warm, dry place to spend the night. Of course, there are plenty of ways in which you can ease their burden a little – donate your old, unwanted winter clothing to a local homeless shelter or perhaps just buy a hot drink for someone in need next time you are out and about. Animals may also need a little extra care during the winter months, especially if it gets particularly cold this season. 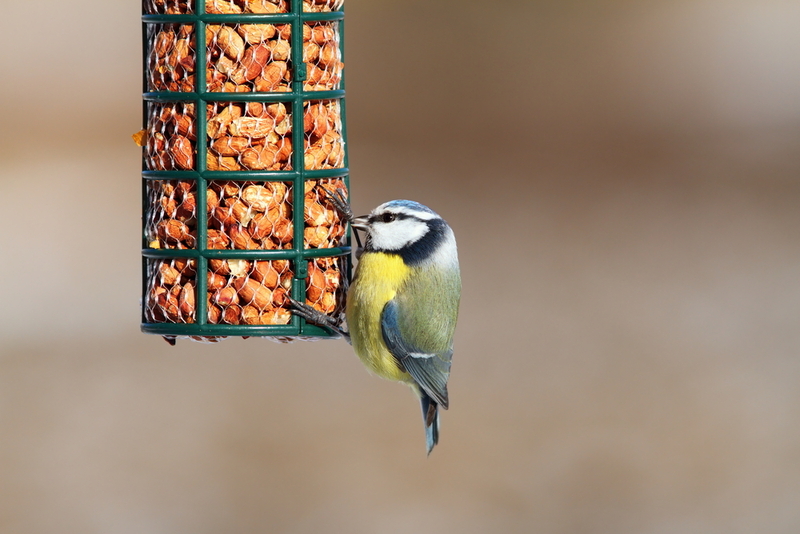 If you have regular wildlife visitors to your garden, for example, you could consider leaving out bird seed to help your feathered friends make it successfully through the winter. This time of year is understandably a difficult time for many to start giving, but it’s important to remember that supporting a charity or cause you care about doesn’t have to involve spending much money, or even any at all! Generosity is all about changing your mindset and focusing on what you can do to help those around you, whether it is those in your local community, people further afield, wildlife or the environment. 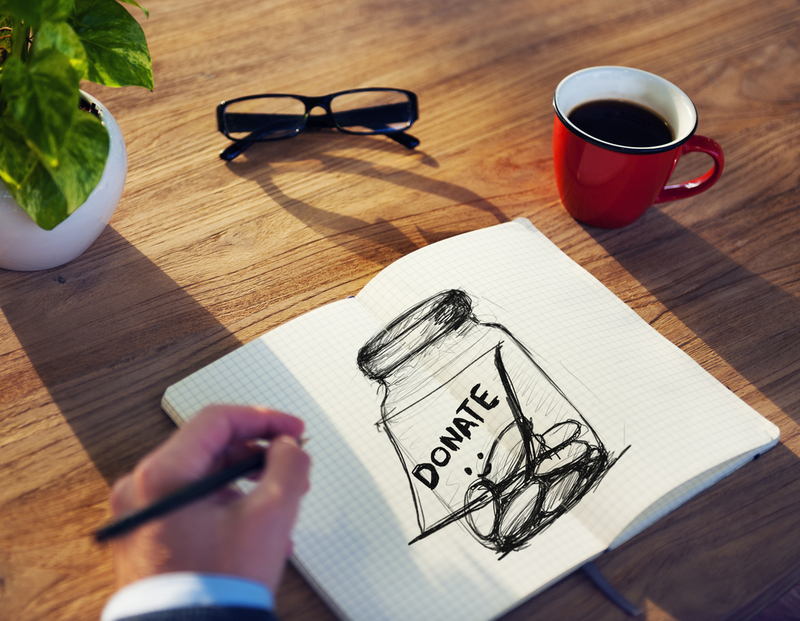 While monetary donations may often be a popular way to help, volunteering your time or donating unwanted items can also be brilliant ways to help out. If you aren’t in a position to be able to give as much as you perhaps feel you should, it’s important to banish that mindset as the reality is that even the smallest actions can bring the biggest rewards. So, this winter, spare a thought for those less fortunate than you and consider making just a small change to better someone else’s life. I have mentioned before that I currently attend Slimming World. I joined to lose the baby weight I put on with Jack, lost loads, put it all back on when I was pregnant with Olivia and am now trying to lose again. I’ve been keen to get back into exercise too but so far since Olivia has been born, I haven’t done all that much. Somehow I ended up running a charity race this past Sunday and boy, was it tough! But let’s talk about Jack and how he did. When Em mentioned that Slimming World would again be running their Slimming World Walk All Over Cancer race again, I signed myself and Jack up once again. Jack really enjoyed running last year, raising over £50. This year he was determined to beat that amount and boy did he! Our consultant Em, who is a personal friend of mine also, beat cancer a couple of years ago so the cause is very close to her heart. It is also a cause very close to our hearts – my brother and my sister in law have battled the disease in my immediate family, aunts and cousins in my extended family. Steve’s grandfather, uncle and aunt have all battled it and we’ve had friends and friends children who have also battled the disease. This is such an important charity to us all so we are keen to raise as much money as possible. Jack asked plenty of his family if they’d like to sponsor him and he has had great support from his grandparents, aunts, uncles and cousins. Various friends also sponsored him as well as members of our Slimming World group too. He was even lucky enough to receive a substantial donation from the charitable trust set up in his great great grandparent’s names – something he is ever so grateful to his great uncle, great aunt and cousins for who are trustees. My son has been very active in getting donations from people and I even posted on Facebook to see if any other people would like to donate – he has been so happy with the amount of people who have taken the time to support him. He loves running and raising money for charity – this is the child who will sit there and put things aside for the charity shop; want to visit charity shops when in town and always loves a go on a charity raffle or tombola! This has again reiterated the fact that he really loves running so I’m also going to be looking for some athletics or running groups for his age group. I’m so proud of him for what he has achieved and I think that raising over £180 is amazing for a five year old! Let’s see if we can beat that next year! One child a week in the UK is diagnosed with retinoblastoma (Rb), a rare children’s eye cancer. This week, I’m joining @Chect_UK in encouraging parents to learn the signs and symptoms of Rb. Early detection is crucial so checking eyes really can save little lives. Visit @Chect_UK to learn what to look for and always #LookSharpForRb. For RB week, CHECT have been aiming to raise awareness of childhood eye cancer. Their video on their Facebook page has been viewed thousands of times – you can view it below. The girl in the video is Lavinia, who was diagnosed in November last year at the age of 8.5 months, when her mother noticed a squint and a white glow in Lavinia’s eye. Since she was diagnosed with Rb, Lavinia has had many rounds of chemotherapy. It is so important to raise awareness of the disease and how to spot it – 70% of children who develop eye cancer lose an eye so spotting it early is essential. Please consider sharing the word. It is so so important to raise awareness. Thank you. Alder Hey and the University of Liverpool officially opened the first phase of a state-of-the-art dedicated research, education and innovation centre in March 2016. The new centre, built right next to Alder Hey’s new hospital, will position Alder Hey and Liverpool as an international leader in the development of safer and more effective medicines for children and young people throughout the world. The unique Institute in the Park is a world-leading centre for research, with leading clinicians, healthcare professionals and scientists working in partnership with young patients and their families to produce remarkable life-saving and life-changing results. The Institute in the Park is home to around 100 research, education and clinical staff and has facilities that no other UK or European children’s hospital can offer. Within this building, researchers and clinicians will work with industry to develop safer, better medicines and therapies for children to use in the NHS and throughout the world. The world class facility also provides the perfect location for all Alder Hey’s teaching and training sessions, along with larger conferences and events. The building features two lecture theatres, a boardroom seating, a state-of-the art Library, dedicated e-learning suite and quiet study room. Video conferencing equipment enables Alder Hey to beam events, meetings and teaching seminars around the world and the facility has technology for live streaming from the hospital theatres. Alder Hey Children’s Charity is raising vital funds to build the second phase of the Institute in the Park. This appeal will allow the hospital to extend the current Institute building and develop even better treatments for children and young people. The second phase of the Centre will allow the hospital to double the space available to undertake world class research and innovation. Building on the success of the completed phase of the building this second phase of construction will create a facility like no other, solely dedicated to children’s health research, innovation and education. Within this building, Alder Hey’s researchers and clinicians will continue to work with partners in academia, technology and pharmaceuticals to develop safer, better medicines and therapies for children to use in the NHS and throughout the world. You can donate and help the appeal here – thanks for all that you can donate! I only support charities I wholeheartedly believe in – I have not received remuneration for this post.